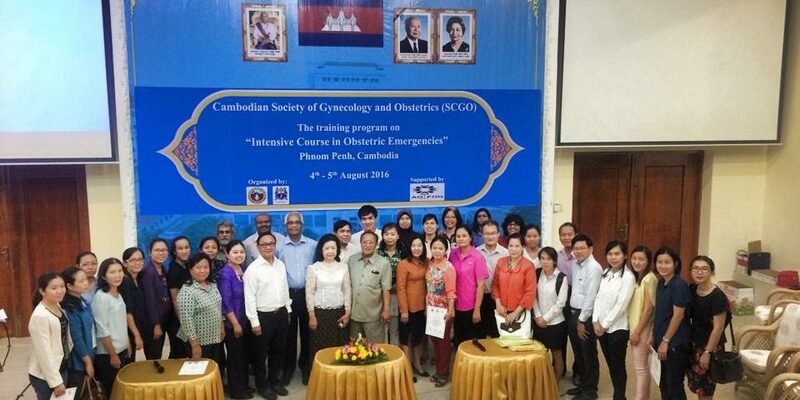 The training on intensive course of obstetric emergency was held, in August 04-05, 2016 at University of Health Science, under honorably presided over by Lok Chomteav Kruy Leang Sim, under Secretary of State of Ministry of Health and SCGO Honorary chairman Prof. Koum Kanal and other cervical cancer project board member. This training was provided by Trainer team where come from Obstetrical and Gynecological Society of Malaysia (OGSM). The main purpose of this training was to building capacity and to improve obstetrical & gynecological practice to our SCGO member in Cambodia.